Overlooking Grande Plage beach and offering breathtaking views of the ocean, the Mercure Biarritz Centre Plaza hotel is an exceptional historic establishment. Renovated in 2017, its architecture is listed and recognized by Monuments de France and its restored antique furniture will delight Art Deco lovers. With 69 modern and comfortable rooms (large TV, tea and coffee making facilities, WIFI), ocean views, cozy bar, private car park and meeting rooms, it has all the amenities of a 4-star hotel. 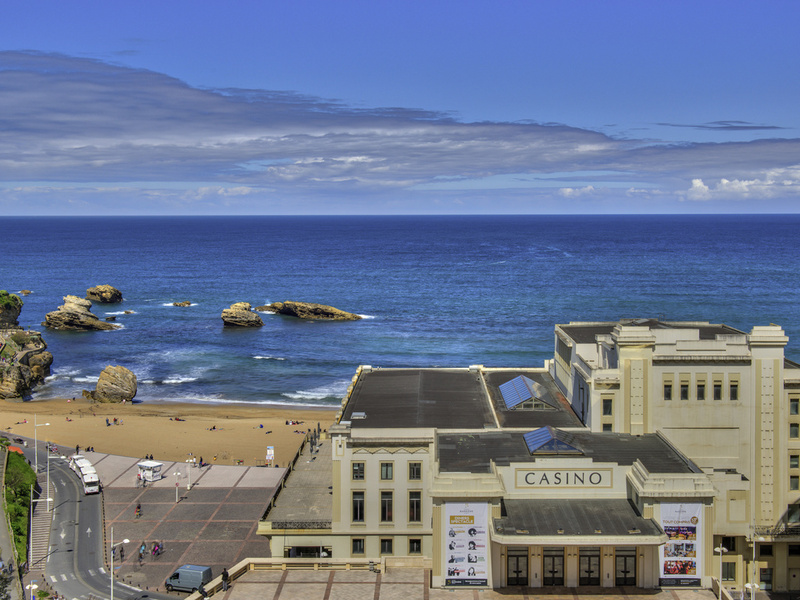 On the edge of the Basque Country, Biarritz is a seaside destination that will delight fans of golden beaches, surfing, golf, gastronomy and beautiful walks. Spain and San Sebastián are only a 35-minute drive away. From our spacious rooms decorated in art deco, choose a Standard Room with a sideways or full sea view. Immerse yourself in the atmosphere of the Roaring Twenties while sampling a Plaza Cocktail or Henriet hot chocolate - all you have to do is choose!